This mysterious garment is woven using fibers magically spun from vapor. As you can imagine, this process is incredibly difficult. A few wealthy Lords are rumored to have equipped their trusted spies with these masterpieces. These stories could be political bluffs, but with as much fog as Vasteel gets in autumn, it’s hard not to be suspicious. The smoky edges of this cloak make it difficult to be seen. While in dim light, Perception (Wisdom) checks made to see you have disadvantage. When another creature attacks you, you can use your reaction to disappear in a puff of vapor and reappear up to 15 feet away. The attack has no effect. 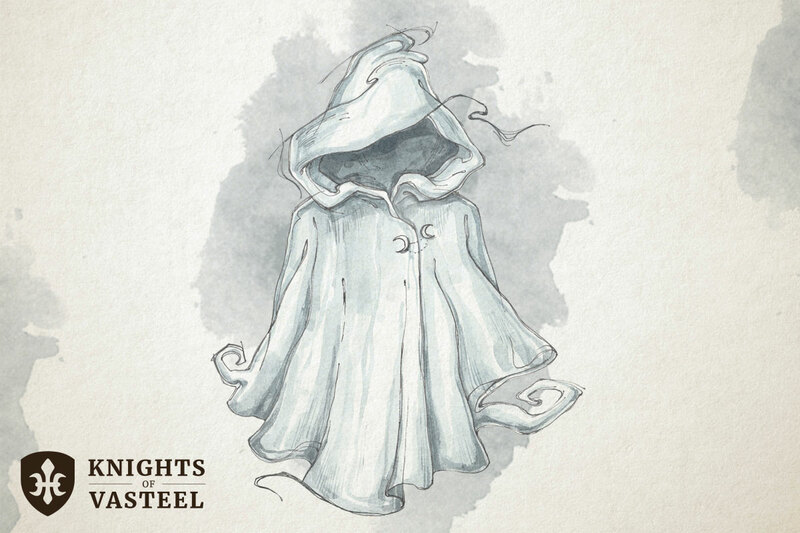 Additionally, while wearing this cloak, creatures don’t get to make opportunity attacks against you. Once every long rest you can use an action to cast the Fog Cloud spell. The spell must be centered on you. When you cast the spell, the cloak transforms into the fog cloud. You no longer gain any of its effects until it coalesces onto your back after 1 hour, or you command it to return ending the spell immediately.